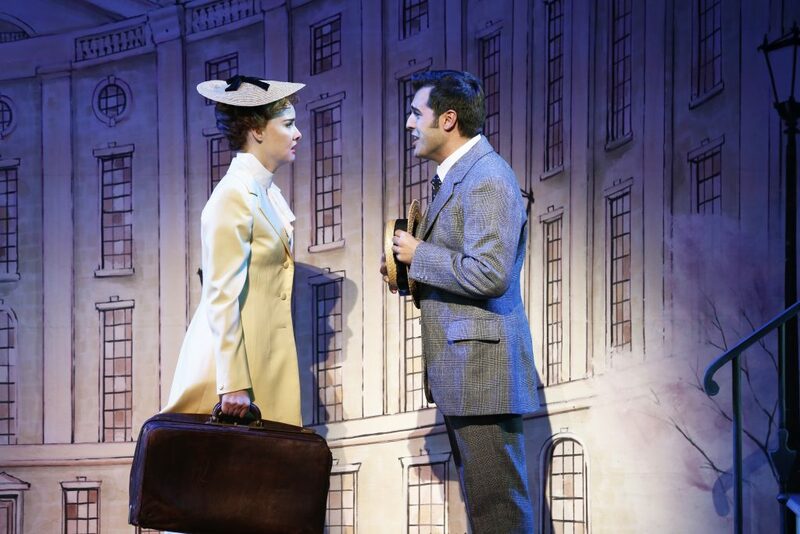 Crafted at the pinnacle of Broadway’s golden age, prized musical treasure My Fair Lady is meticulously restored to its original glory in this 60th anniversary production. Reversing the trend of directors and designers who seek to put their own spin on a show as they remold and retool it, the clock is turned back for a unique insight into the world of music theatre in Broadway’s heyday. Providing a direct link to the past is director, and international icon, Julie Andrews, who starred as the original Eliza Doolittle back in 1956. Andrews’ direction encourages a broad playing style, in which performers face forward and speak at loud volume, albeit with perfect diction. This style takes the show to the audience rather than drawing the audience towards the actors/characters, and yet the talented set of leads still succeeds in winning affection. Storytelling is crystal clear, although it would be nice to give some credit not only to audience intelligence but also to familiarity with the story. At the heart of the restoration are the set design of Oliver Smith and the costume design of Cecil Beaton. Overseen by Rosaria Sinisi, the scenic design returns to a time when painting of scenery was a well-practiced art form. Present day theatre lovers have only seen such designs in little photos in CD booklets or in coffee table books. Framed within a gilt-edged, arched false proscenium, the combination of painted backdrops and solid sets creates depth and visual appeal. The cost of the homage to this scenic style, however, is the inclusion of scene change blackouts with the traveller curtain closed, blowing out the running time to 195 minutes (including interval). The designs are certainly attractive, but, in terms of technical achievement, community theatre surpassed this level many years ago. The most successful scenic transition, which drew worthy applause on opening night, is the dissolve from the promenade of the embassy to the ballroom. The sets rotate and chandeliers are lowered in plain sight, bringing a very satisfying result when the picture fully resolves. More of this kind of flair was needed in the design, even if this meant straying beyond the original format. Recreation of the costumes is unreservedly a success. The work of John David Ridge has clearly involved exhaustive research and loving care, attaining an extraordinary level of beauty and perfection. Moving from jewel tones for the operagoers in the opening, to the striking black and white of Ascot to soft pale pastels for the ball, the female ensemble are very well served. Eliza’s bejeweled shimmering white gown for the ball is a highlight, as is the black velvet jewel-collared cape she wears over it afterward. Bringing a talent for energetic yet respectful revitalisation of classics, seen in South Pacific and The King and I, choreographer Christopher Gattelli makes the absolute most of the small number of opportunities for dance in My Fair Lady. 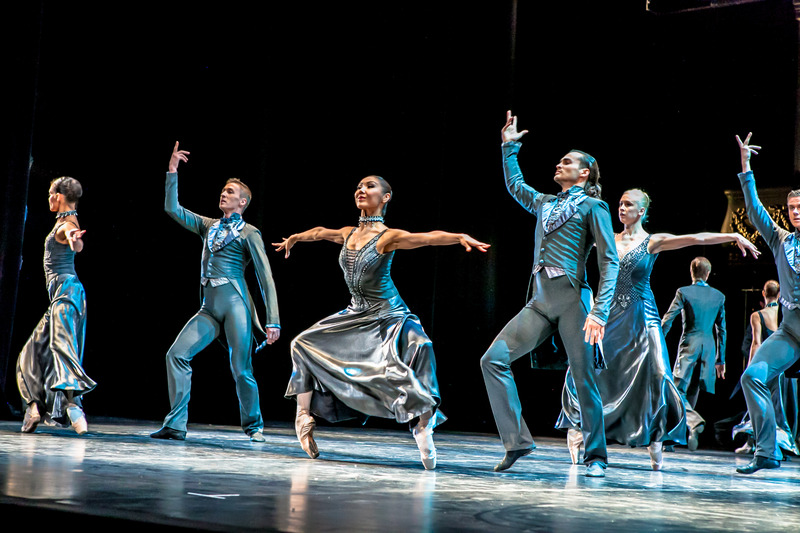 The ensemble formations in “Embassy Waltz” are quite divine, “Ascot Gavotte” moves with delectable wit, and joyful company number “Get Me To The Church On Time” is the energetic showstopper needed at the 165-minute mark of the show. Music Director Guy Simpson presides over an orchestra of 32 musicians from the Australian Opera and Ballet Orchestra, giving a richly coloured performance of Frederick Loewe’s music. The flawless sound design, by Michael Waters, projects each and every one of Alan Jay Lerner’s words with clarity and in perfect balance with the music. An operatically trained soprano and stunning actress, Anna O’Byrne returns to Australia to fulfill the promise shown as Maria in West Side Story last year. While her previous high profile role of Christine in Love Never Dies showcased her porcelain beauty and full-bodied soprano, the role of Eliza Doolittle involves a narrative arc that is as complex as it is well known. O’Byrne brings a compelling freshness to the role, nailing both the cockney and polished accents as well as the journey between the two. Revealing a talent for comedy, O’Byrne is hilarious at Ascot, taking Eliza from a rigid, trained automaton to an alluring center of attention. O’Byrne is equally powerful when silent, such as when standing paralysed with simmering pain as Higgins and Pickering congratulate each other during “You Did It” or seeing her old haunt through new eyes when revisiting the market as a Lady. From the spitfire venom of “Just You Wait” to the soaring high notes of “I Could Have Danced All Night,” O’Byrne’s singing of the role is glorious. 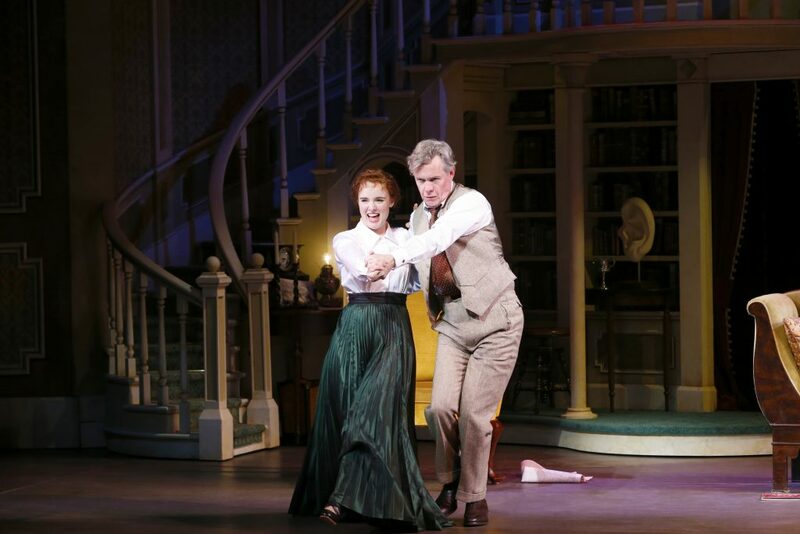 When National Theatre’s acclaimed revival of My Fair Lady transferred to the West End’s Theatre Royal, Drury Lane in 2002, multi-talented actor Alex Jennings took on the role of Henry Higgins, winning an Olivier Award as Best Actor. Delightfully droll and frustratingly obtuse, Jennings’ interpretation of the role is both pleasingly traditional and intriguingly nuanced. 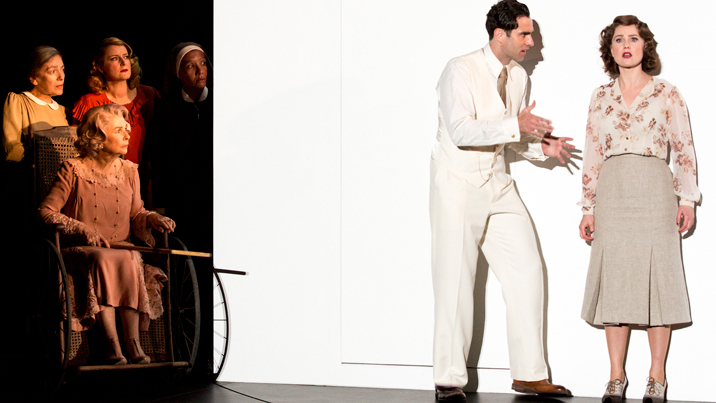 Jennings’ stage presence is never less than compellingly magnetic, and the audience is on his side no matter how outrageous his statements against women and the lower classes. 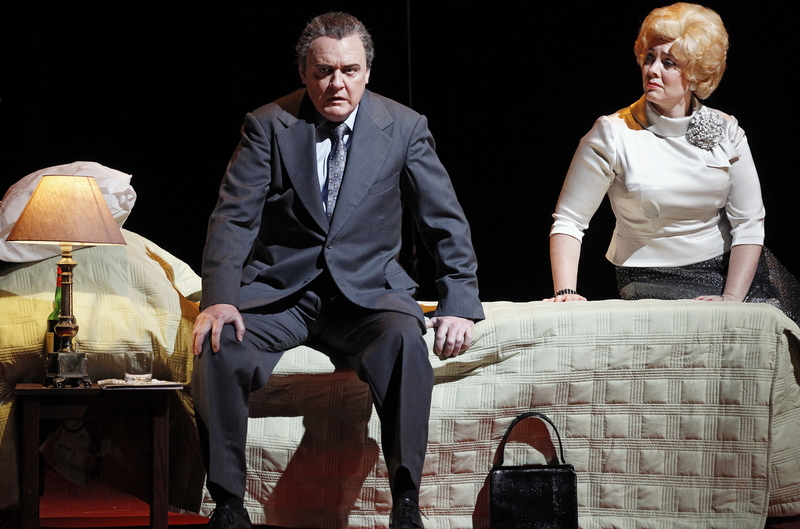 In the hands of two such gifted actors, Higgins and Eliza’s shared scenes are enthralling. The standout moments are the pair’s bitter fight after the ball and their showdown at Mrs Higgins’ conservatory. Thankfully, Andrews follows the original interpretation of Higgins and Eliza’s relationship, allowing them to deeply bond on a human level rather than artificially forcing romantic overtones into the story. 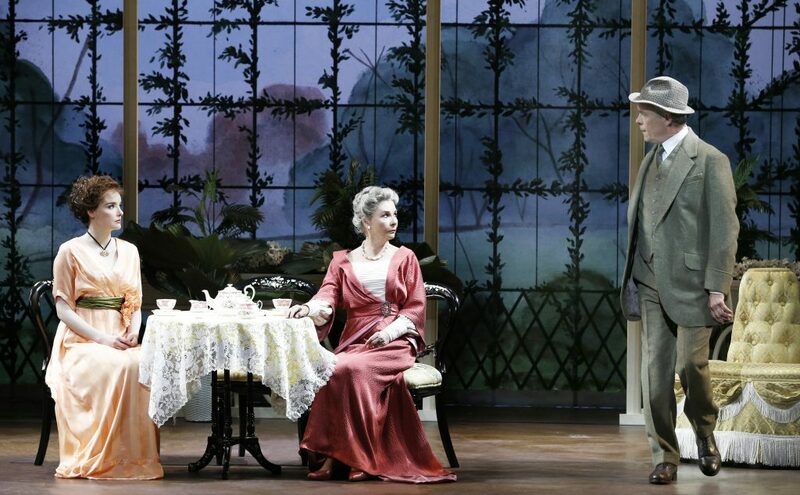 Having starred as Higgins in Opera Australia’s 2008 staging of My Fair Lady, Reg Livermore returns this time as loveable rogue Alfred P. Doolittle. Livermore has the audience in his palm as Doolittle progresses from ne’er-do-well dustman to newly moneyed groom. Tony Llewellyn-Jones brings a lively sparkle to conservative housemate Colonel Pickering. In her third musical role for 2016, Deirdre Rubenstein imbues imperious but softhearted Mrs Pearce with exactly the plummy tones one would expect from the housekeeper to a phoneticist. Robyn Nevin is all class as Mrs Higgins, landing many a laugh with her gently sardonic delivery of the world-weary matron’s dialogue. Playing simpering society fellow Freddy Eynsford-Hill, popular singer Mark Vincent’s relative lack of acting experience is clear. Vincent sings “On The Street Where You Live” strongly, but shares no chemistry with O’Byrne’s Eliza. All members of the triple threat ensemble work brilliantly, playing a range of roles with distinction. 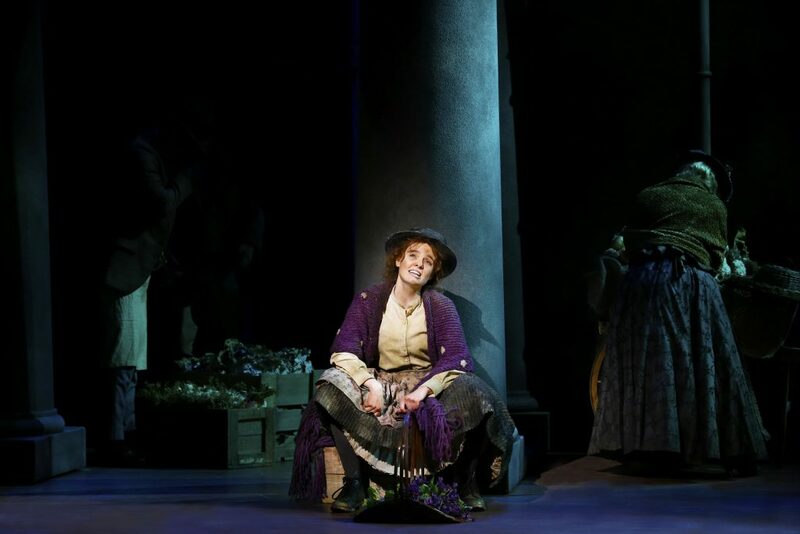 It is hard to imagine a more reverential treatment of a classic musical than this season of My Fair Lady, which is a must-see event for all music theatre lovers. 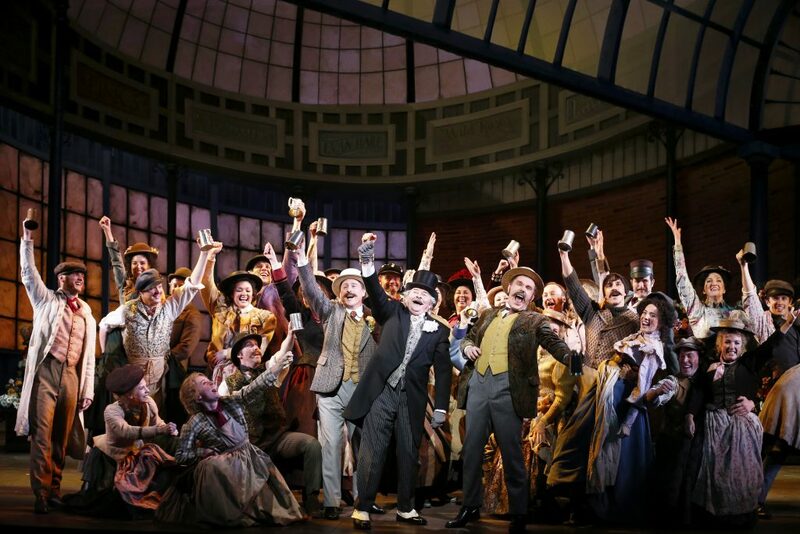 My Fair Lady plays at Joan Sutherland Theatre, Sydney Opera House until 4 November 2016. My Fair Lady tours to Brisbane in March 2017 and Melbourne in May 2017.